A late work from celebrated Italian director Federico Fellini, which features his usual blend of circus and comic strip grotesques. 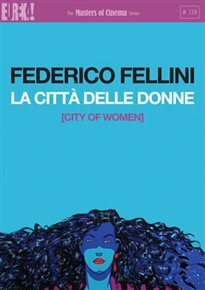 When Snaporaz (Marcello Mastroianni), a middle-aged businessman, is enticed off a train he finds himself in a world completely dominated by women. As more and more bizarre adventures happen to him, it is clear that he is moving through his own fears and fantasies about women.